Mamelodi Sundowns go into the second leg of their CAF Champions League quarter-final away in Egypt after a convincing 5-0 win at home. The Egyptian giants will be looking to give a good performance in front of their home crowd despite the mountain that they will have to climb on the day. The pressure is definitely going to be on the home team as they will seek to get an early goal to try and fight their way back. However, Pitso Mosimane’s charges will look to play off the desperation from their opponents on the day. Former Kaizer Chiefs defender, Rodney Thobejane gave his predictions on the match as well as others. Useful facts: On paper, it’s a big game between two powerhouses of African football, but after last weekend’s result, where Mamelodi Sundowns put the Egyptian giants to the sword with a 5-0 scoreline in front of a buoyant crowd at Lucas Moripe Stadium, this tie looks pretty much over for Al Ahly. Football is a strange game, though, and the eight-time CAF Champions League will ensure they give a good fight on Saturday, especially in front of their fans and with pride to protect. If they bow out, they will want to bow out having given it their all. 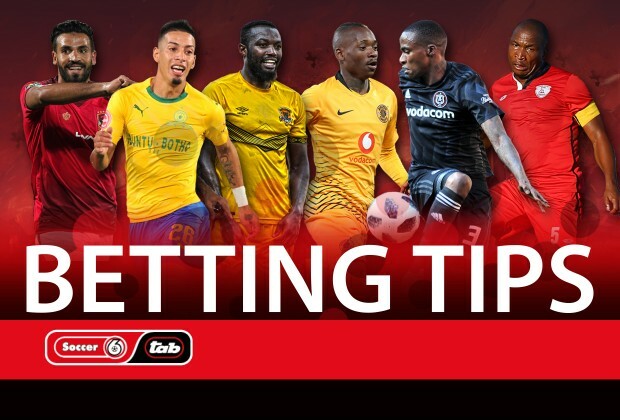 Downs will, however, be comfortable in the knowledge that all the pressure will be on the home side, as they have to score from as early as possible in their efforts to reduce the deficit. It is that desperation that Pitso Mosimane’s charges will want to play off, with a big chance of hitting Al Ahly on the break. It may be a dead rubber in many people’s eyes, but the battle will just be as fierce as the first leg, especially if one looks at the Egyptian side’s record at home. Sundowns, who travelled to Egypt on Tuesday, will be the fresher of the two teams, with Al Ahly in league action on Wednesday. It will be interesting also to see what sort of ‘reception’ Phakamani Mahlambi will get from the home fans, as he is their former player and tormented them a great deal at Lucas Moripe Stadium last Saturday. Useful facts: For Ernst Middendorp and his charges, it’s yet another meeting with a Limpopo outfit, albeit this time away from home. Judging by their lacklustre display against Baroka FC last weekend, Kaizer Chiefs will need to dig deep to get a result at Thohoyandou, where Black Leopards are known to give especially the big teams a tough time, with the crowd creating an intimidating atmosphere for visiting sides. For Dylan Kerr’s charges, after the disappointment of losing to Polokwane City last Sunday, and playing Orlando Pirates tonight, there will be no better way to bounce back and earn three valuable points than to do it against the mighty Amakhosi! Useful facts: Its top versus bottom as we have well and truly reached the business end of the season, with both teams desperately needing the points to aid their different courses. Free State Stars are fighting to stay alive in the league, while Orlando Pirates want to hold on to the top spot until the very end. Bucs are expected to come out victorious, playing at Orlando Stadium, and it will be interesting to see how the mood is in the Free State Stars camp following the passing on of Sinethemba Jantjie last week, which led to the postponement of their fixture of last weekend against Highlands Park. Pirates, for their part, will have to do better than their display against Bidvest Wits last weekend, where they needed a last-minute winner that came via an own goal.